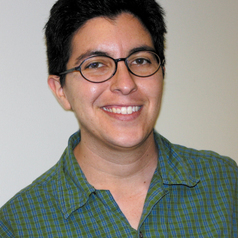 Beth Ferholt is an Assistant Professor in the Department of Early Childhood and Art Education at Brooklyn College, City University of New York. Beth Ferholt’s areas of research broadly stated are development, learning, play, creativity and imagination. Her research builds upon the tradition of cultural-historical activity theories. Consistent foci of her research include the methodological project of challenging the divide between method and object in conventional social science; playworlds, a Vygotskian inspired form of adult-child joint play in which adults and children enter into a common fantasy that is designed to support the development of both adults and children; the Vygotskian concept of perezhivanie, roughly translatable as “lived through” experience and particularly useful in challenging the divides between emotion and cognition and between individual and environment; and practices of early childhood education in which children are understood as culture and knowledge creators. Her most recent research project was a study in three Swedish preschools of the meeting of two preschool approaches, playworlds and the Reggio Emilia-inspired exploratory learning and pedagogy of listening.